The poppy plant grows upto 5 feet in height. It requires full sunlight and fertile soil to flourish. Poppy seeds are nutritious oilseeds used as condiment in cooking. 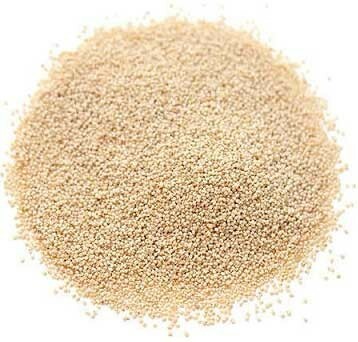 In India poppy seeds are added for thickness, texture and also give added flavor to the recipe. Buy(order) Poppy Seeds(Khas Khas) online at whole sale price from KiranaPlace, a online retail dry fruit shop. Poppy seed is an oilseed obtained from the papaver somniferum. Although the seeds obtained from the dry fruits (pods) of the poppy plant. Poppy seeds are less than a millimeter in length, kidney-shaped, and have a pitted surface. Poppy seeds are popular ingredients and generally employed as condiment and to press oil. Poppy seeds are nutritionally dense spice with high levels of essential minerals calcium, iron, copper, zinc, magnesium, phosphorus and potassium. Because of its highly nutritive nature it is used in breads, cakes, cookies, pastries, curries, sweets and confectionary. Poppy seeds rich in fatty acids so help in artery disease & stroke. Dietary fibre found in poppy seeds helps bad cholestero. Poppy seeds are rich source of copper, helps to produce red blood cells. Poppy seeds help to control your heart rate and blood pressure. Poppy seeds help to boost your immune system. Poppy seeds helpful for treating nervous disorders. Poppy seeds helpful for cell renewal.